Sunrise over Mt. 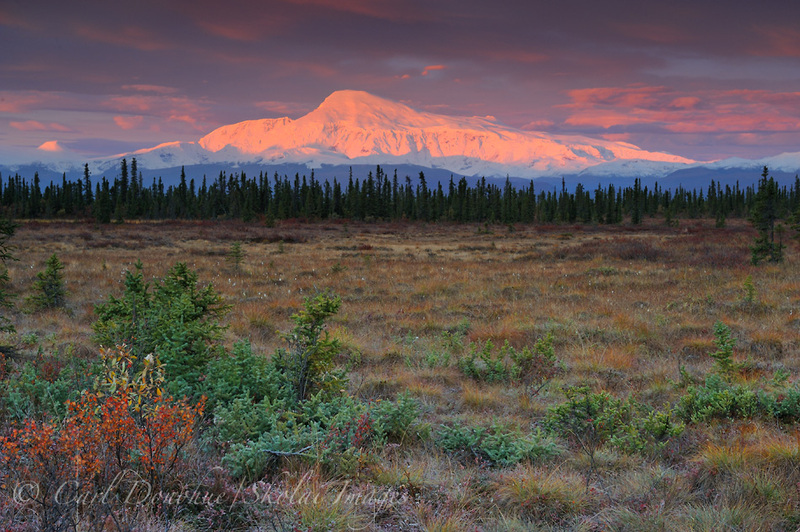 Sanford, fall foliage in the tundra and boreal forest in the foreground, Wrangell – St. Elias National Park and Preserve, Alaska. A photo of Mt. Sanford, taken last fall. Killer sunrise. « John Cleese on creativity. Outstanding shot, Carl. I like that! Amazing shot Carl. Love it. Killer photo man. Very nice. I particularly like the contrast of that ridge line of trees against the mountain. Posted on Friday, June 15th, 2012. This epic photo was taken by Carl Donohue.